Acne is an extremely common (and extremely discomforting!) skin problem that occurs when the pores are clogged by dead skin cells, impurities, oil, etc. Bacteria may also enter these pores, leading to breakouts. Some of the main causes of acne are stress, medications, lack of sleep, pollutants, unhealthy lifestyle, and hormonal factors. There are multiple over-the-counter lotions available for the treatment of acne, but why spend money on expensive chemical-laden products when there are safer and more natural ways to deal with this skin condition. Recently, there is increasing interest in natural plant-based remedies by people that want safer alternatives to the synthetic chemical compounds used in cosmetics for treating skin problems such as acne. Essential oils are derived from plants and are used extensively in cosmetic skin care and beauty products and home remedies. These natural potions are often too potent to be used by themselves. 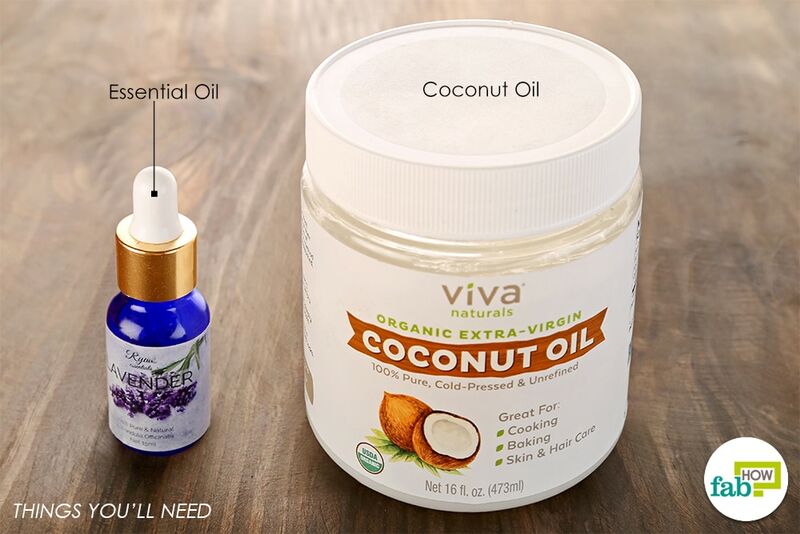 In order to bring down their intensity a notch, essential oils are generally diluted with “carrier oils,” such as olive, almond, and coconut oils, which come with their own skin-enhancing benefits. For instance, both coconut oil and olive oil possess strong moisturizing properties and are great for nourishing the skin. You may use any essential oil that suits your skin along with the carrier oil of your choice. Note: As essential oils are highly potent, perform a patch test before using them on your skin. Add 5-6 drops of essential oil to a tablespoon of carrier oil and mix well. Using a cotton ball or q-tip, dab the solution on the acne. Use this remedy daily before going to bed for best results. 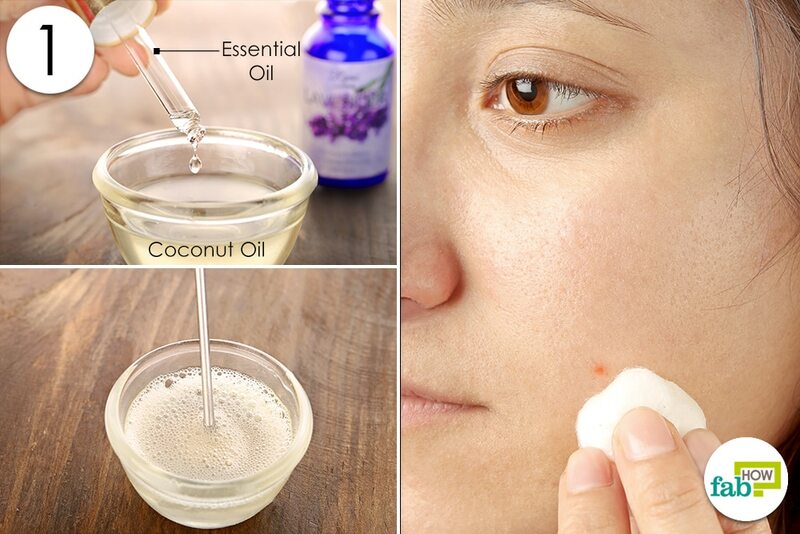 Here are ten essential oils you can use for preventing and treating acne. Tea tree essential oil, which goes by the botanical name of melaleuca oil, offers multiple antibacterial, antifungal, antimicrobial, antiseptic, and antiviral benefits as well as anti-inflammatory and soothing properties. It is also touted as the go-to essential oil for reducing acne-related inflammation and redness. Moreover, it helps nip the problem in the bud by combating and restricting the buildup of bacteria that leads to such breakouts in the first place. How it works: Tea tree oil activates the healing process by penetrating the outer layers of the skin and quickly mixing with sebaceous secretions to eliminate pimples by producing antiseptic and anti-inflammatory effects in the pores. 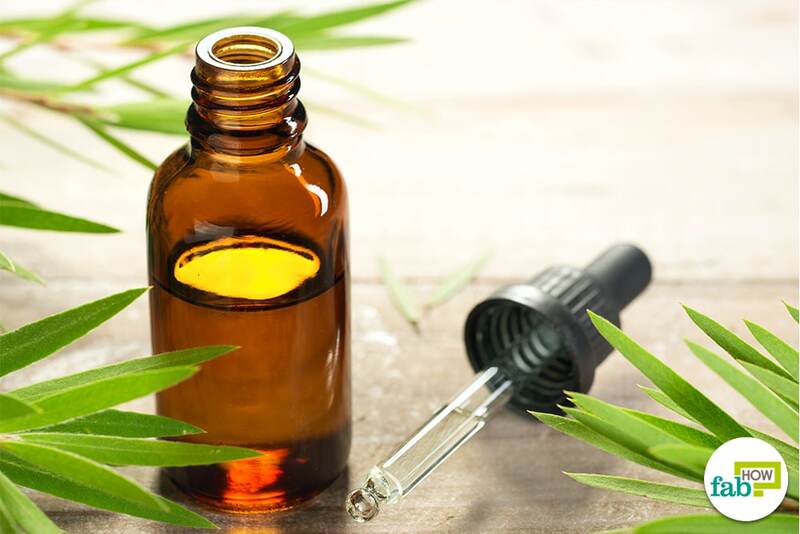 Note: Tea tree essential oil is unlikely to cause any adverse skin reactions if used in limited quantities, but it is recommended that you carry out a patch test nevertheless. Dab a bit of the oil on the underside of your forearm before using it to ensure its suitability for your skin. 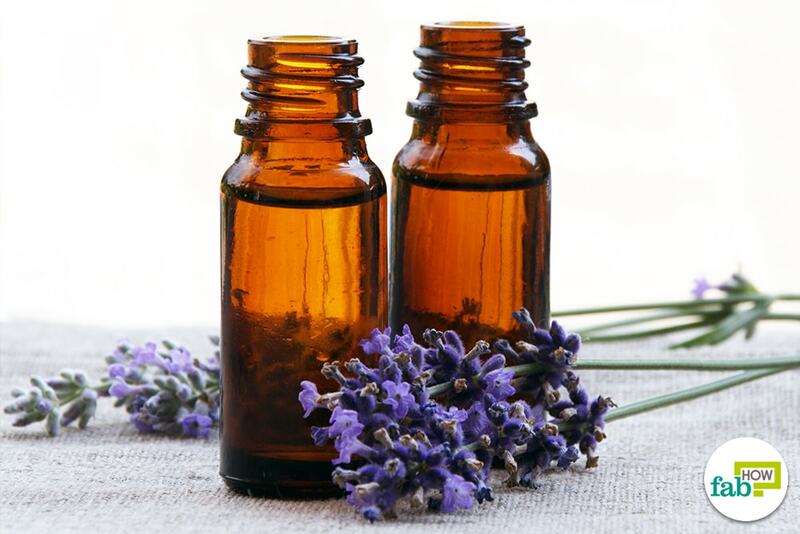 There are several botanical names attributed to lavender, which include Lavandula angustifolia ‘Vera,’ Lavandula officinalis, and the most commonly available species Lavandula angustifolia, which has a fragrance that is light, fresh, floral, and herbaceous. The essential oil extracted from this perennial flowering plant has been much celebrated for its medicinal value, owing to its rich antioxidant, antibacterial, antiseptic, anti-inflammatory, and antidepressant potentials. How it works: Additionally, its astringent properties make it especially effective for acne treatment in particular. It helps unclog pores by removing the impurities settled within and thereby prevents acne breakouts. However, unlike commercial astringents that are often too harsh on the skin, lavender essential oil does not cause itching, dryness, or irritation. Thus, the lavender essential oil is characteristically gentle and soothing, which makes it an effective healing agent against acne breakouts and skin inflammation, particularly for sensitive skin types. Another essential oil that ranks highly for its skin-healing benefits is derived from lemon, also known as Citrus limon in scientific circles. Lemon essential oil gives off a wonderful citrus smell, making it a regularly featured ingredient in a range of cosmetics, perfumes, scented candles, and soaps. Benefits: The popularity of lemon essential oil as a natural therapeutic aid for many skin conditions has much to do with its potent antibacterial, antiseptic, astringent, antiviral, and detoxifying properties, all of which help maintain the integrity of the skin. Lemon essential oil also promotes natural exfoliation of dead skin cells due to the presence of alpha hydroxy acids, the active ingredients in chemical peels. Add to that its vitamin C content, which stimulates collagen synthesis, further speeding up the skin regeneration process. All in all, lemon essential oil promotes skin cell turnover, which helps lighten scars, improve the skin tone, and restore the natural balance of the skin, giving you glowing acne-free skin. A precaution of avoiding sun exposure after applying lemon essential oil to the skin is, therefore, recommended. 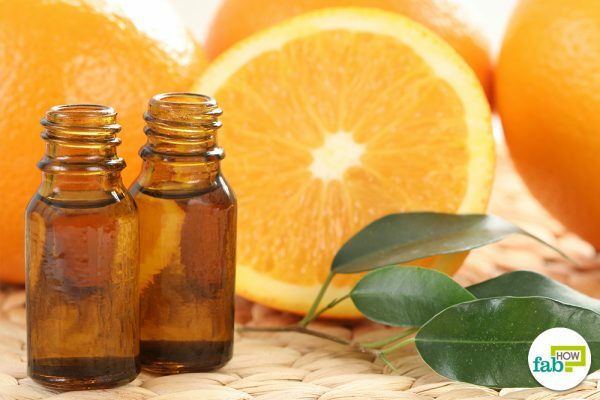 The essential oil from orange, Citrus sinensis, has all the properties you need for effective acne treatment. Benefits: This essential oil also has antidepressant properties that alleviate anxiety, anger, depression, and stress, which help in reducing the corticotropin-releasing hormone (CRH) in the sebaceous gland. How it works: This oil has the ability to unclog blocked pores, relieve congested and oily conditions, and eliminate problematic breakouts. (8) The cleansing, antiseptic, and antimicrobial properties of orange essential oil tackles acne-causing bacteria. Orange essential oil works as an anti-inflammatory agent that counters such inflammatory responses, including the redness and swelling associated with acne. Orange essential oil is known to balance oil production in the sebaceous glands and is especially suitable for acne-prone oily skin. Benefits: This antibacterial, antiseptic, disinfecting, toning, and degreasing agent, widely used in cosmetics, is the perfect natural choice for combination, problematic, congested, and oily skin conditions. 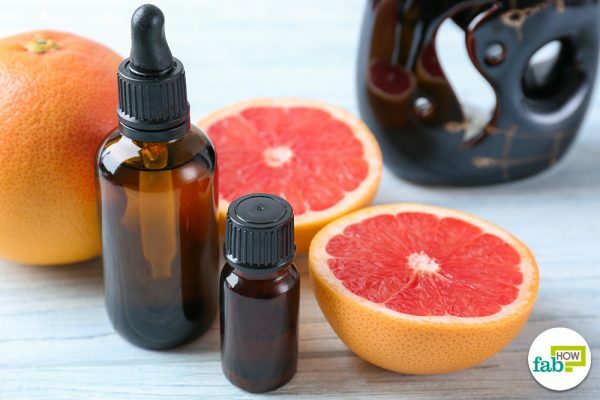 The inherited properties of grapefruit oil cleanse the skin without the unwanted harshness, deters bacteria, and prevents acne by reducing sebum congestion in the pores. The vitamin C in grapefruit essential oil also prevents trans-epidermal water loss (TEWL) in the skin. This vital nutrient helps your skin heal better by promoting the synthesis of essential barrier lipids that are critical to protecting the outer epidermal layers. As with other citrus ingredients, grapefruit essential oil is phototoxic, which renders your skin ultra-sensitive to sunlight. Thus, you are strongly advised against going out in the sun after applying grapefruit essential oil to avoid any undue skin damage. Oregano oil is derived from a widely popular and available herb that is scientifically known as Origanum vulgare. This essential oil also ranks highly as a pharmacological aid due to its antioxidant, antifungal, antibacterial, anti-inflammatory properties, which account for its multiple health-promoting benefits. Benefits: Carvacrol, one of the chief components in oregano oil, strengthens the immune system and has antimicrobial properties that help eliminate acne-causing bacteria. 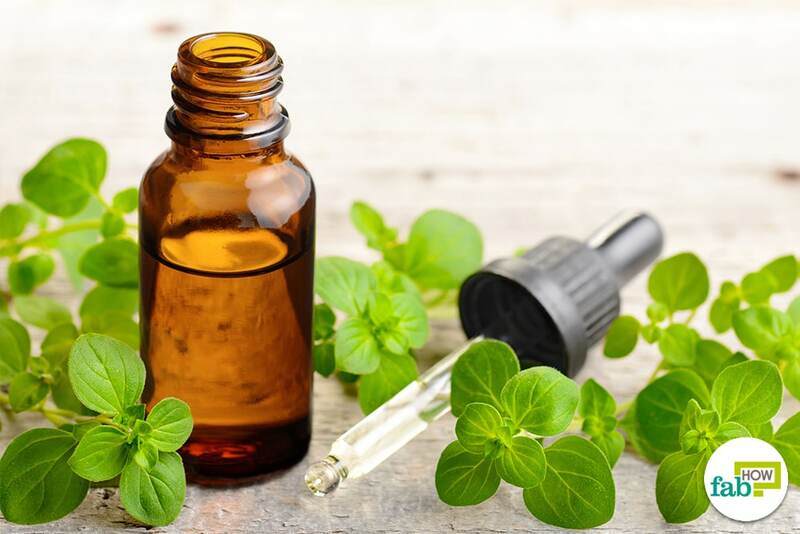 The impressive range of skin-friendly properties linked to oregano oil makes it a sought-after natural remedy for addressing acne breakouts and the discomforting symptoms associated with it. Not only does it provide symptomatic relief from the redness, swelling, and inflammation present, but it also rewards you with sustainable beauty by keeping your skin in the best of health. The superb germicidal ability of oregano oil for supporting clean, antiseptic skin pores and surfaces helps stave off future breakouts by averting and eliminating bacterial buildup. Derived from the roots of the turmeric plant, this essential oil has antibacterial, antifungal, antiallergic, antiviral, antiseptic, and analgesic properties. Benefits: Turmeric essential oil is cherished for its healing and cosmetic benefits across beauty circles, so much so that it is often proposed as a natural foundation for you to build a healthy skin care routine on. How it works: Curcumin, a major active compound in turmeric, is an effective anti-inflammatory and antioxidant that protects skin cell health. 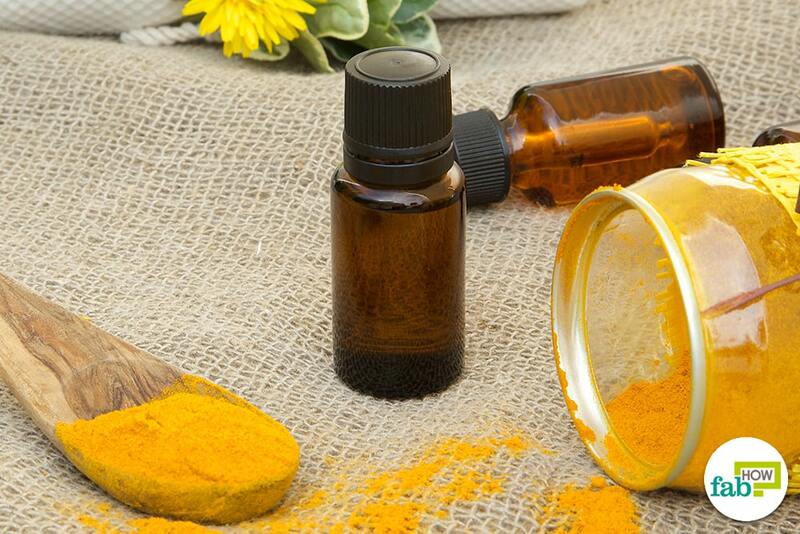 A skin care regimen that includes turmeric essential oil will leave your skin bright and luminous. Benefits: Neem oil is considered to be a natural remedy for treating inflammatory responses – redness, pain, itching, and swelling - which explains its effectiveness in relieving the discomforts associated with acne. 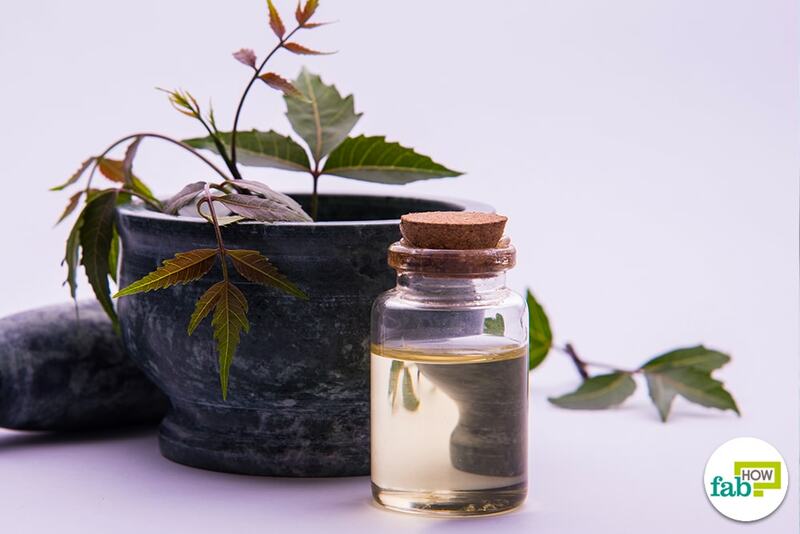 Neem essential oil is used in alternative medicine and cosmetic to treat chronic skin conditions including eczema, psoriasis, and acne. How it works: Its antiseptic property cleanses and purifies the skin, reducing the occurrence of breakouts, and its wound-healing effect works to lighten the post-inflammatory pigmentation and scars and reveal a clearer complexion. Frankincense oil, from Boswellia serrata, is an extract from gum resin that has been used in traditional herbal, complementary, and alternative medicine since ancient times. Benefits: The oil is an effective antiseptic, antibacterial, and disinfectant that eliminates germs to treat acne and reduce breakouts. These properties work together to cleanse your skin, control oil production, and prevent conditions that are conducive to acne breakouts. Thus, using frankincense essential oil in your skin care maintenance and prevention routines can ensure a successful outcome. Geranium essential oil, from Pelargonium odoratissimum, is a healing agent that is compatible with the relatively problematic skin types, such as dry, oily, and acne-prone skin. Benefits: This essential oil is widely used as an ingredient in cosmetic and skin care products. 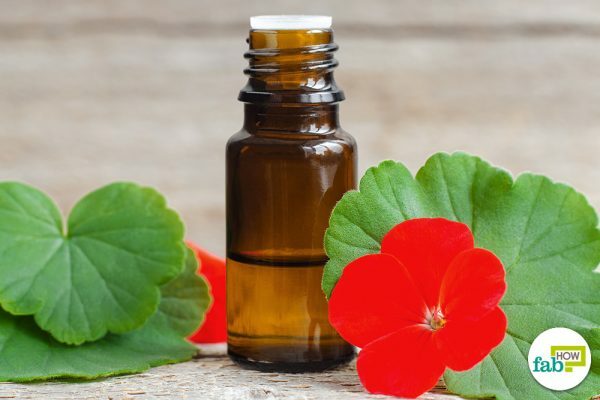 Geranium oil is credited with potent astringent, antibacterial, anti-inflammatory, and lipid-balancing properties and has all the makings of an effective skin aid. How it works: Its astringent properties help resolve acne by balancing the skin’s natural pH and controlling sebum production that leads to congested and oily skin, and its antibacterial properties combat the underlying infection. Thus, include geranium oil as a beautifying and healing agent in your skin health treatment to attain a clear, glowing complexion that is free of acne imperfections. Winkelman WJ. Aromatherapy, botanicals, and essential oils in acne. Clinics in dermatology. https://www.ncbi.nlm.nih.gov/pubmed/29908571. Published May 2018. Malhi HK, Tu J, Riley TV, Kumarasinghe SP, Hammer KA. Tea tree oil gel for mild to moderate acne; a 12 week uncontrolled, open-label phase II pilot study. The Australasian journal of dermatology. https://www.ncbi.nlm.nih.gov/pubmed/27000386. Published August 2017. Yang JH, Yoon JY, Kwon HH, Min S, Moon J, Suh DH. Seeking new acne treatment from natural products, devices, and synthetic drug discovery. Dermato-endocrinology. https://www.ncbi.nlm.nih.gov/pmc/articles/PMC5821150/. Published October 4, 2017. Silva GLda, Luft C, Lunardelli A, et al. Antioxidant, analgesic and anti-inflammatory effects of lavender essential oil. Anais da Academia Brasileira de Ciencias. https://www.ncbi.nlm.nih.gov/pubmed/26247152. Published August 2015. Ali B, Al-Wabel NA, et al. 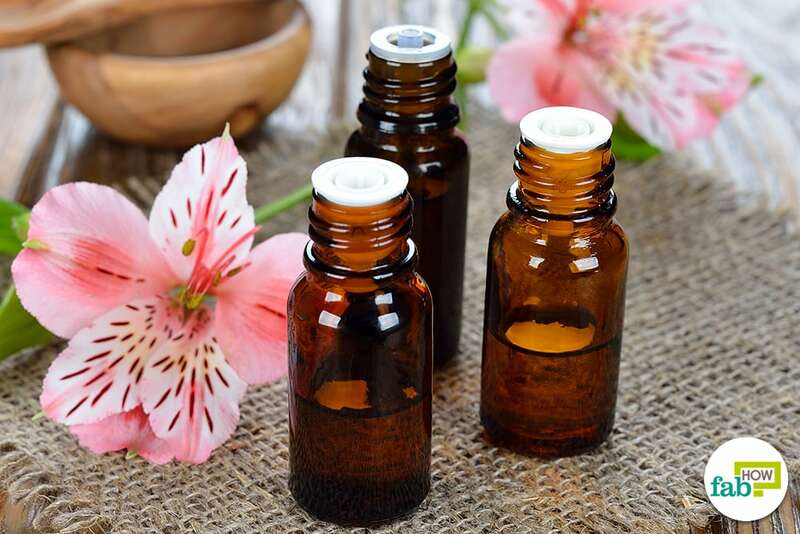 Essential oils used in aromatherapy: A systemic review. Asian Pacific Journal of Tropical Biomedicine. https://www.sciencedirect.com/science/article/pii/S2221169115001033. Published August 2015. Kejlová K, Jírová D, Bendová H, Gajdoš P, Kolářová H. Phototoxicity of essential oils intended for cosmetic use. Toxicology in vitro: an international journal published in association with BIBRA. https://www.ncbi.nlm.nih.gov/pubmed/20688147. Published December 2010. Orchard A, van Vuuren S. Commercial Essential Oils as Potential Antimicrobials to Treat Skin Diseases. Evidence-based complementary and alternative medicine: eCAM. https://www.ncbi.nlm.nih.gov/pmc/articles/PMC5435909/. Published 2017. Reducing stress may help lead to clearer skin. Reducing stress may help lead to clearer skin | American Academy of Dermatology. https://www.aad.org/media/news-releases/reducing-stress-may-help-lead-to-clearer-skin. CRH corticotropin releasing hormone [Homo sapiens (human)] - Gene - NCBI. National Center for Biotechnology Information. https://www.ncbi.nlm.nih.gov/gene/1392. Tan AU, Schlosser BJ, Paller AS. A review of diagnosis and treatment of acne in adult female patients. International journal of women's dermatology. https://www.ncbi.nlm.nih.gov/pmc/articles/PMC5986265/. Published December 23, 2017. Han X, Parker TL. Anti-inflammatory, tissue remodeling, immunomodulatory, and anticancer activities of oregano (Origanum vulgare) essential oil in a human skin disease model. Biochimie open. https://www.ncbi.nlm.nih.gov/pubmed/29450144. Published March 3, 2017. Alzohairy MA. Therapeutics Role of Azadirachta indica (Neem) and Their Active Constituents in Diseases Prevention and Treatment. Evidence-based complementary and alternative medicine : eCAM. https://www.ncbi.nlm.nih.gov/pmc/articles/PMC4791507/. Published 2016. Mahmoud DA, Hassanein NM, Youssef KA, Abou Zeid MA. Antifungal activity of different neem leaf extracts and the nimonol against some important human pathogens. Brazilian journal of microbiology : [publication of the Brazilian Society for Microbiology]. https://www.ncbi.nlm.nih.gov/pmc/articles/PMC3768785/. Published 2011. Al-Harrasi A, Hussain H, Csuk R, Khan HY. Biological Activities of Boswellia Extract. ScienceDirect. https://www.sciencedirect.com/science/article/pii/B9780081024416000049. Published September 21, 2018. Al-Harrasi A, Hussain H, et al. 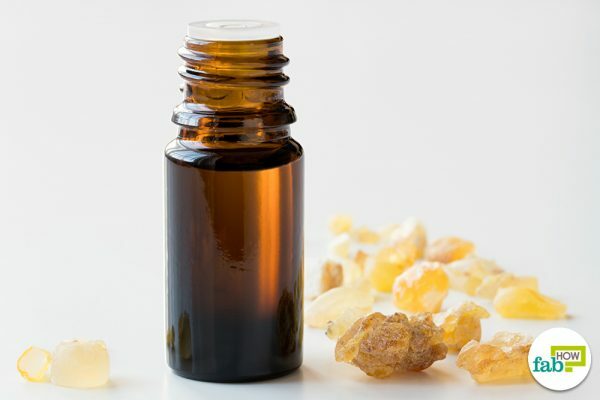 Frankincense in Modern Medicine. ScienceDirect. https://www.sciencedirect.com/science/article/pii/B9780081024416000050. Published September 21, 2018.